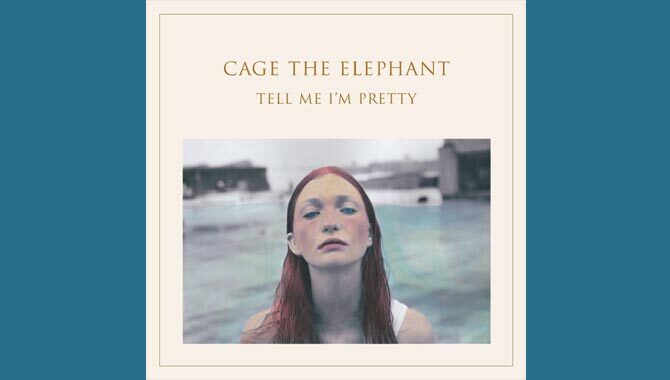 Contact Music caught up with Cage The Elephant to talk a little about their new album 'Melophobia' out February 10th 2014. After a busy last few years of touring and recording their first two albums, the Kentucky five-piece are looking forward to bringing the rock-pop experimentalism to the stages once again. Contactmusic.com: Hi Jared, how are you doing? Jared Champion: Yeah I'm good thanks man, just going to get the bus up to the venue and wait around for a sound check, not too busy today. CM: Your third album 'Melophobia' is released in the UK very soon, what can you tell us about it? JC: The album has kind of been a long process for us; we took a bit of time off before writing it. We'd been constantly touring the last two albums, so we spent some time with family and stuff. When we got back to writing, we spent a lot more time in the studio developing the songs. On the last two albums had most of the songs ready with bridges, and breakdowns and choruses and stuff; with this album we didn't. It has been a little longer process than the other two albums. CM: The title 'Melophobia' means 'The Fear of Music', was there any fear in writing this album? JC: We all sat down and just discussed it, and we all thought it was a good title as this album took so long to put together. There were a couple of conflicts in the band between where we wanted to go with it and when we began writing it. That word just seemed to describe how this album came together better than any other. So it's not like we fear the music; it's the writing process itself and putting our own music together. CM: You mentioned there was conflict in the band, can you elaborate on that? JC: I don't really mean bad conflict; it was just the different ideas and directions from everybody in the band. I'm sure this is something that all bands go through and some will keep it hidden better than others; we are a band who tends to air our laundry out. We all went to the same high-school and we all grew up around each other, we have known each other for fifteen to twenty years. We love each other like brothers, but we tend to fight like brothers too. CM: Matt and Brad are real brothers in the band, do they work well or can there be some brotherly tension?JC: They get along pretty well. It was a little different when we were younger, but that's just the whole brotherly thing you know. Especially when they're together 24/7. CM: I heard that 'Come A Little Closer' wasn't one of the band's favourite tracks to be counted as a single. 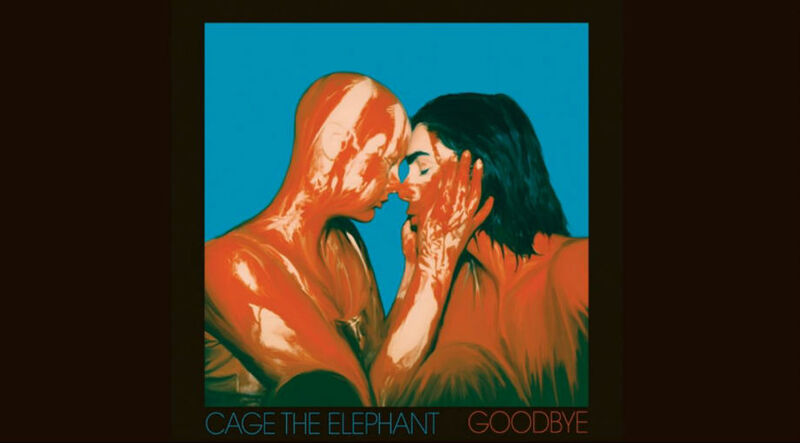 JC: Yeah, when we all sat down and went through the album, I don't think we selected that track right away, but we started listening to the track over and over again and through discussing it with our management and our label, they kind of decided they wanted to go with it and we decided to go with it. It turns out that it's doing really well for us and it's doing really well on the radio over in the US right now. It hit the Hot AC playlist. It turned out to be a good selection. CM: Were you not expecting such a great response to the song? JC: We wouldn't put a song on the album we couldn't imagine people enjoying. I know, especially these days, there's quite a few bands that might have two or three songs that they say, "these are our power singles" and they try and push those. We try and write genuinely and write like we enjoy every song. CM: You sound like a band with a lot of different musical ideas, how do you collaborate that into getting tracks you all agree on? JC: It really works a lot through our producer Jay Joyce. I'm the drummer so if someone comes up with an acoustic idea, then I'll come up with some different beat ideas and some structure of the song. Then our bassist Tichenor will come up with the bass parts, and as all this is happening we keep bouncing ideas off of each other for further structure. We'll then start working the choruses or the verses, and what keeps us all on the ground and picking our best bits is our producer. CM: I read that the creative process was quite experimental with this album - can you explain that a little? JC: Yeah, this seemed a lot more time consuming. We got a house between Nashville and Bowling Green which is our hometown, it was in the country and on this little lake. We just didn't rule anything out for this album; we wouldn't say, "Right, let's write a bunch of rock songs" - we would take everyone's ideas whether it was pop or rock. Going into the album, we recorded fourteen songs and ended up selecting ten to put on the album. We really didn't want to limit ourselves to one element of music. CM: Alison Mosshart accompanied you on the track 'It's Just Forever', what was it that brought that collaboration together? JC: Originally the other guys were trying to get another singer called Santigold, but she couldn't do it due to scheduling conflicts or just general none-interest. I suggested to our producer and manager that we use Alison Mosshart, as we had done a couple of shows with The Kills and The Dead Weather. Alison agreed to come in and do it and laid down a verse vocal and did some stuff over the chorus. It worked out really well; we did a show in New York and she came out and did her verse live; she guest-starred in the show which was really cool! CM: Do you feel like you learned something different from the process of this album to the others? JC: I don't know if we learned anything new, although I'm sure we did. I think we are growing up a little bit and have matured as musicians and people. We have just got to grips with the fact that we have been together for nearly ten years and we have been around each other for so long a time. It just helped us to realise that there are going to be conflicts in the band no matter what; not just the band but life in general. We just put everything aside for the greater good of the band, the music and the album. CM: You took some time out before writing the new album, what did you get up to? JC: Me personally, I tried to relax as much as possible. I spent some time with my girlfriend and my dog. I'm really into my video games and snowboarding and I play golf. CM: You guys toured a lot over the course of five years with your last two albums, why so many live appearances? JC: I think the reason we ended up touring so much was due to the fact that we didn't do the process like other bands do it. Usually, you record the first album then tour on it for a year or two and do your territories, and then do your second album. Well, what we did was we recorded the first album, and then ended up touring the US just as an unsigned band and did that for about six months to a year whilst we tried to find someone to sign us. We played SXSW in Texas and we ended up signing with an independent label over in London, UK. They moved us over to London for residency. We thought we were going to be the s***, we thought we would just come straight out in London and we'd be famous in two weeks. After three months of playing to shows with no audiences, we were like, "Damn, this is not like the seventies when Jimi Hendrix came out". We ended up touring over here for two and a half years and building up a following. We worked really hard at it and did a real good job and we lived here. We'd go home for a week or two at a time and, through our success over here in England, we signed with a label in America and moved straight back over there and started touring on our first album again. We toured so much in America, and then some dates in Japan and then came straight back and had a month off and then went back to the studio to write our second album. Then we put it out and started touring on it and by that time our territories were caught up. CM: You said that you lived in London, how was that? JC: Yeah, we lived in East London in a little suburb called Leyton. We moved back home to America right as they were building the Olympics. Most of us hadn't even been out of our state and then we literally moved straight over to London. It was a bit shocking at first but we feel like we fit in well with the London scene. We lived quite far out from the centre and the tube shuts down at eleven; we are used to partying until 2am or 3am so when we were ready to go home it was like a £50 taxi ride. CM: You originally live in a small town called Bowling Green, Kentucky. What is the music scene like there?JC: Lately, it's been awesome. I mean, when we came out there wasn't too much of a scene. There were some local bands who were touring at the time before we started playing; just some southern rock type bands. Then we started playing at a place called Tidball's and I think just from all of us playing together and all the friends we kept at the time it spawned this little group of musicians. They all ran off and started forming bands and stuff. So today the music scene is really cool and unique, the music that is there is pretty well-known as it's only a small town. 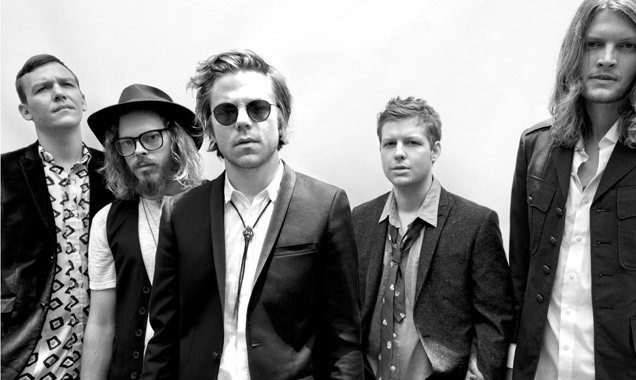 CM: Where has been a memorable gig for Cage The Elephant? JC: I would have to say festivals, just due to the atmosphere and the vibes; there's also a real sense of community too. One of them is definitely Lollapalooza and it was getting towards the end of our set, and this huge storm cloud rolled in and it started raining really hard, right as we burst into 'Shake Me Down' which, at the time, was our hit single. Everybody just started screaming and it was just a real sight! 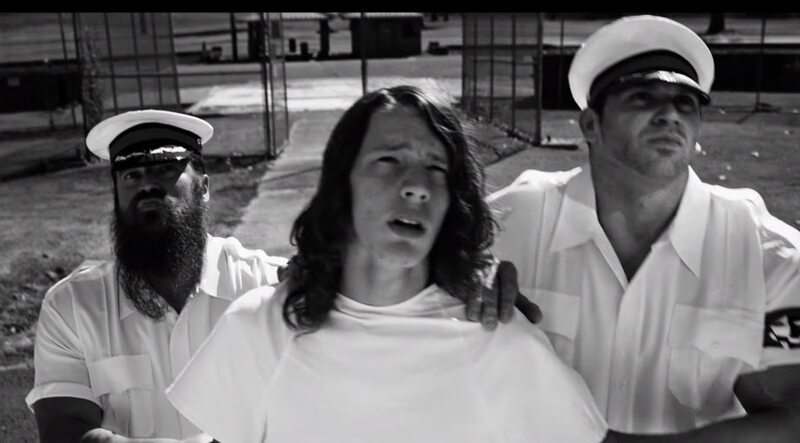 CM: And, finally, what does 2014 hold for Cage The Elephant? JC: I hope for a lot more exposure and a lot of touring. We are just getting into the touring cycle of this album now and have just recorded a few videos for some singles, and we are going to release our second single soon. And obviously the album is about to be released in the UK very soon. Hopefully, we will have a lot of pleased fans. Thank you for taking the interview, Jared.